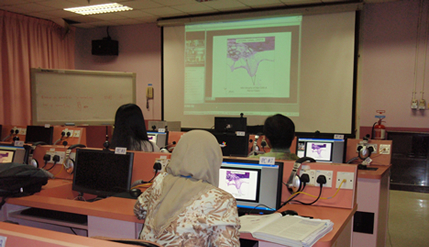 BANGI, 24 September 2010 – Universiti Kebangsaan Malaysia Medical Centre (UKMMC) has for the first time taken part in a seminar yesterday with Harvard Medical School, Boston USA via a televideo conferencing. The Seminar organised by Massachusetts Eye and Ear Infirmary, Harvard Medical School, was broadcast live to enable members of the UKMMC Otolaryngology Department to participate. It is expected to be a monthly event between the two medical schools. Otolaryngologists who specializes in the treatment and surgery of ear, nose, throat and neck disorders exchanged the latest information in the field. It was chaired by Prof. Saumil Merchant from the Harvard Medical School and facilitated by Prof. Dato Dr. Lokman Saim, Director of UKMMC. The seminar discussed issues in clinical pathology including the presence of fluids in the human body. Among the cases looked into were patients who suffered from Hemosiderosis, increases in iron tissues that may lead to bleeding for those who have sensorineural hearing loss and had undergone cochlear implants. 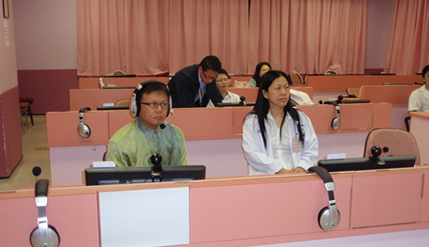 Post graduate students from UKM’s Otolaryngology department took part in the web-based seminar including students from several other universities, University of Minnesota, House Ear Institute Los Angeles, University of Hawaii and University of Brasilia, Brazil. 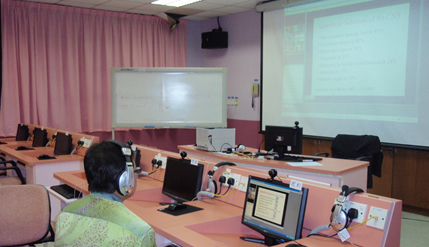 Prof Dato’ Lokman, who is also the Dean of UKM Medical Faculty said, it is part of the ongoing programmes to increase collaborations between UKMMC and the world’s top universities such as the Harvard Medical School aimed at improving the quality of learning for post graduate students in the Otolaryngology department.